Just stopping by for a few moments to say " 2010 is almost to an end" and please enter my Giveaway. Click on the box at the top of this post. I'm joining A Southern Daydreamer for Outdoor Wednesday with a little bit of this and a little bit of that. 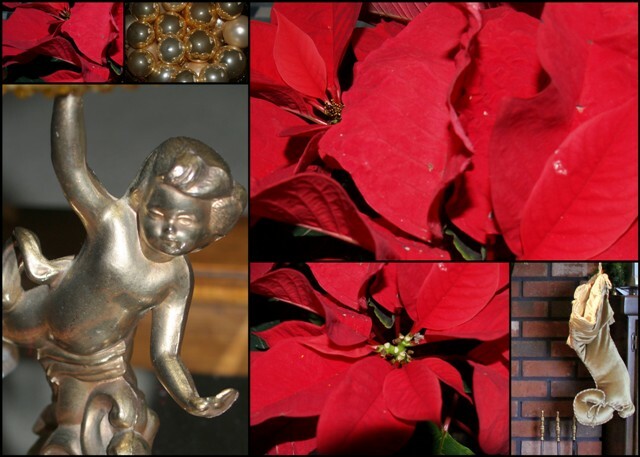 I love Poinsettia at Christmas time. They make a wonderful hostess gift or a gift for a shut-in during the holiday season. What a lovely mosaic. Have a Happy and Prosperous New Year. Pretty mosiac. Happy New Year!! Happy New Year!! A VERY Happy New Year! !